Bait fish derive their propulsion from tail movement rather than body action. The tail of the Buzz Tail Shad is designed with the tail in a vertical position to the body of the bait, as common in nature. In order to achieve the natural swimming action of a bait fish, the tail has been precisely notched to allow water flow to impart the natural tail action. In other words, the action is imparted by simply moving the lure through the water. 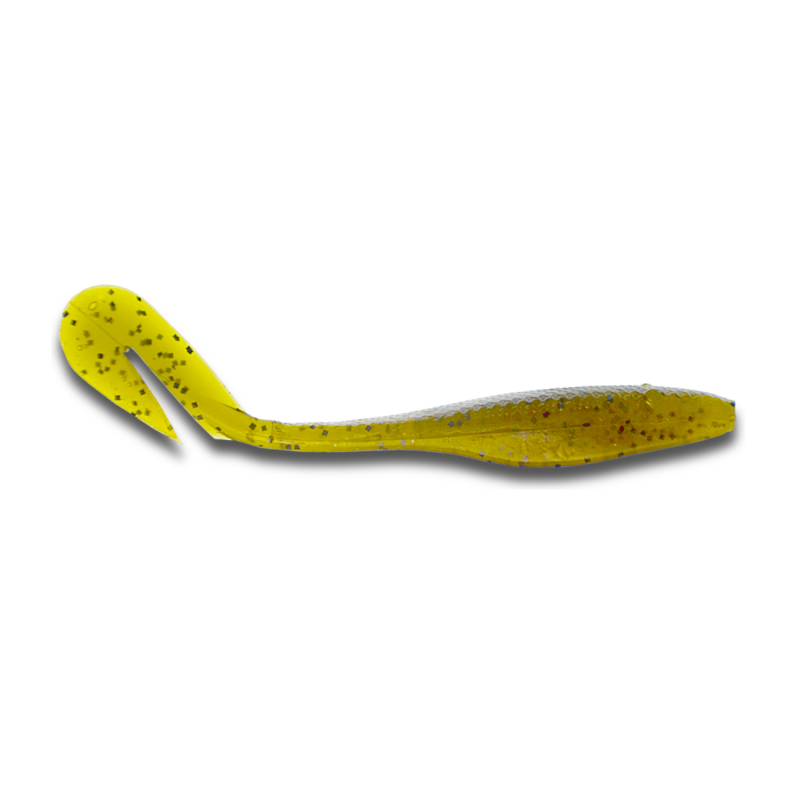 The lure has been designed to fish week patterns and remain weedless. A built-in hook slot allows the hook to be hidden, while at the same time allowing for minimum hook pressure to insure a solid hook up. Look for exclusive Producto Tips in using the Buzz Tail Shad coming soon! (CHBG) Chart. Blu. & Grn Glit.